Regardless of the sculptured form of an architectural intervention, it is important in these times that people are routinely challenged to participate in the physical world in some form of social interaction. The manifestation of the programme plays an essential role in this ambition. This is new ground for the architect, who firstly has to succeed in tempting people to participate and then to reward them with a pure architectural experience. The watchtower with the shape of a gigantic robot has the same dimensions as the original Colossus of Rhodes, which was one of the seven ancient classic wonders of the world. 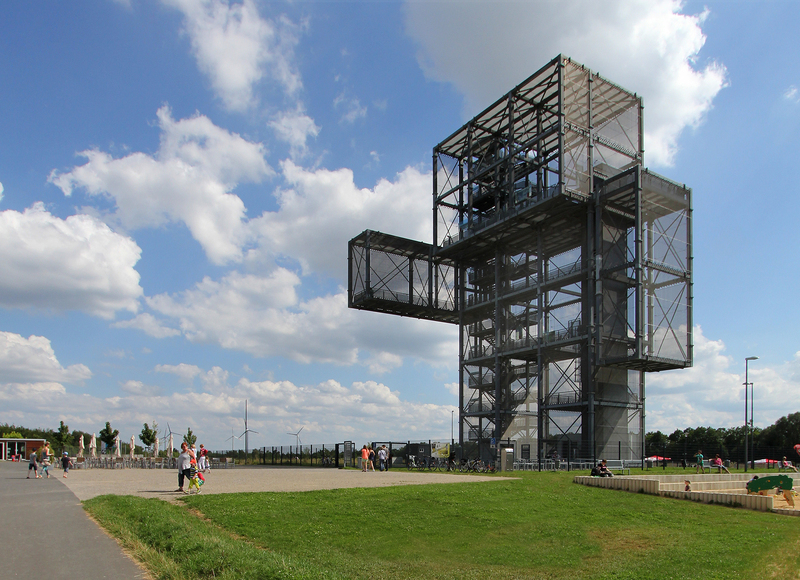 It provides views over the spectacle of the brown coal excavations that are transforming the landscape around the towers into one of Germany’s biggest lakes. 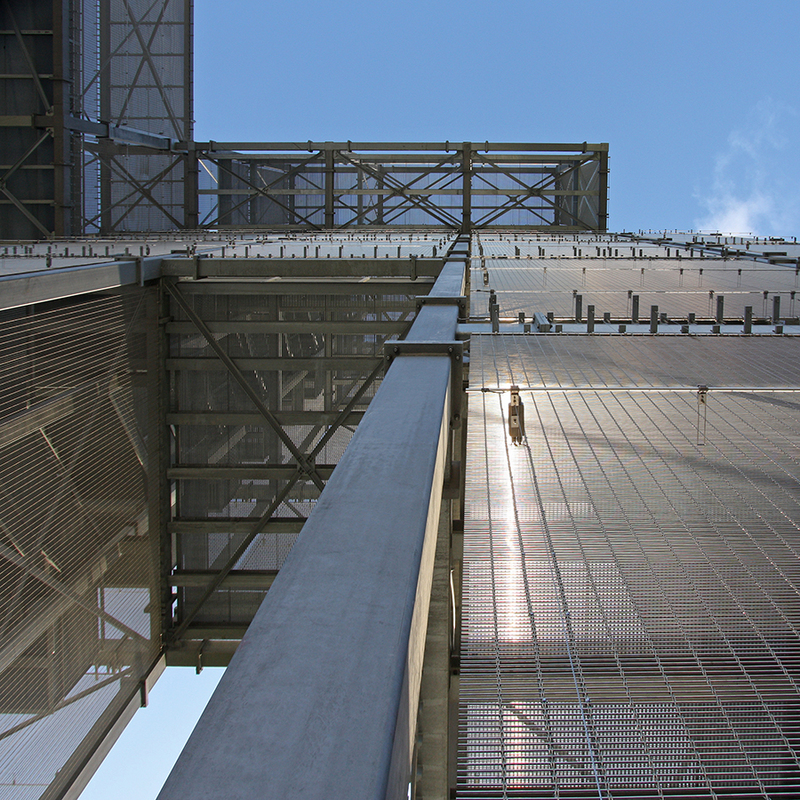 The tower is constructed entirely from steel and refers to the industrial appearance of the enormous machines in the open cast mine. Transparent grid floors and metal fabric façades create a game of views and vistas. 40,000 LED lights have been incorporated in the metal fabric, which create a media façade on all sides at night.